Microsoft is a big company in the field of technology. So, many things they manufacture for you. Recently the growth of the company is marvelous. This organization has provided the best operating system to the users. That is Windows. The company updated this time to time. They started from Windows XP and upgrade to Windows 10. Microsoft introduced several new tools for smooth enjoyment in Games. Microsoft added Game Mode in Windows 10. Redmund Joint has also used to improve the performance of your PC gaming. This concept was already given in ‘X-Box One’. That support the game to access the system resource. How To Enable This Game Mode? First, click on the start button on your system. Which is given on the left side. You will see a Game option there. You have to enable it. So, click on this option. Then choose the ‘Use’ option or ‘Game Explorer’. You are ready to run game on the computer and now Windows 10 will flash the message on your computer screen to press Windows+G to open the game. If you did not receive this message then something is wrong. Your window 10 is not supporting the game to run smoothly. 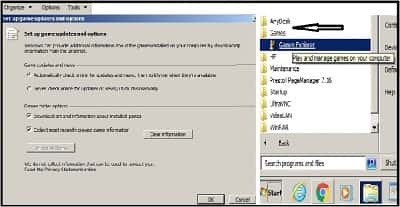 If message flash on your screen then clicks on Windows+G option. After that click on the setting icons, which are on your right side and choose ‘Use Game Mode For This Game’. Microsoft company thing that this support is to increase the per the second frame of Game and second play the game without any hassle and obstacle. This is the big support provided to the users. The most sharing point is that when the mode is enabled, the OS system instructed processor and graphics card to support the game. A smooth playing will be possible from this support. Drop your comment in the below-given box to improve the next content.